The Beginner’s Bible® has been a favorite with young children and their parents since its release in 1989 with over 25 million products sold. Combined with the proven I Can Read format, this My First I Can Read! book, with basic language, word repetition, and great illustrations, is perfect for shared reading with a child. In Jesus Is Born, a young girl named Mary is going to have a special baby. When he is born, God’s angels tell everyone the good news. But the king is not happy at all. What will become of Baby Jesus? 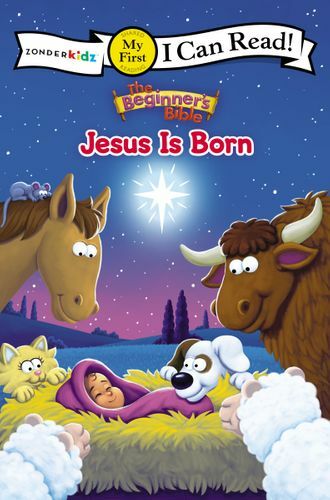 Featuring vibrant art from the beloved The Beginner’s Bible, this iconic story about the first Christmas from the New Testament is perfect for parents to share God’s Word with their children.